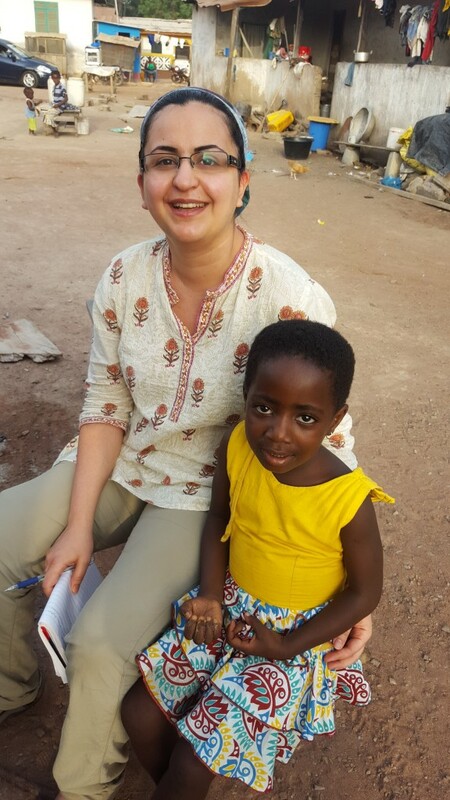 I started my fieldwork in Ghana on Dec 7th, 2015. Over two weeks of fieldwork mainly in Dodowa (but also in Accra), I conducted more than 50 open-ended interviews and narrative walks with community members, urban/water researchers, and governmental officials. One of the main objectives of my fieldwork was to identify actors and resources that are essential for implementation of transition management cycle in different suburbs of Dodowa. 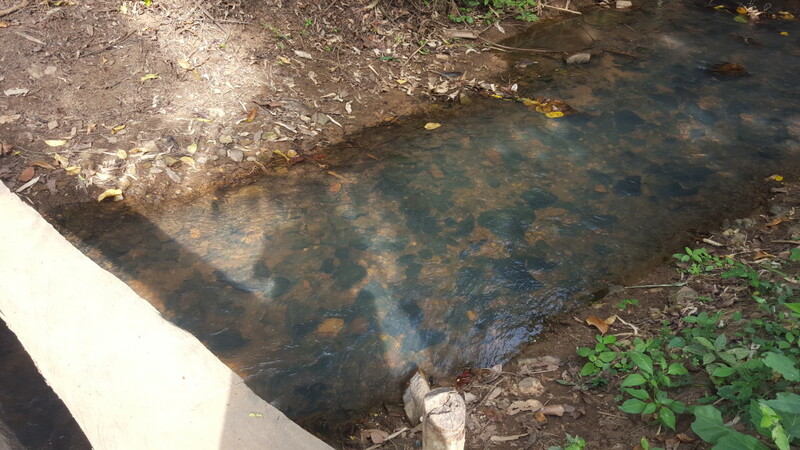 Informed by earlier literature review on water governance arrangements in Ghana as well as studies on resource mobilization, I selected my interviews with organizations possessing resources (e.g. media, capacity building skills, access to social networks at local, regional, national levels) that can support community mobilization in Dodowa. 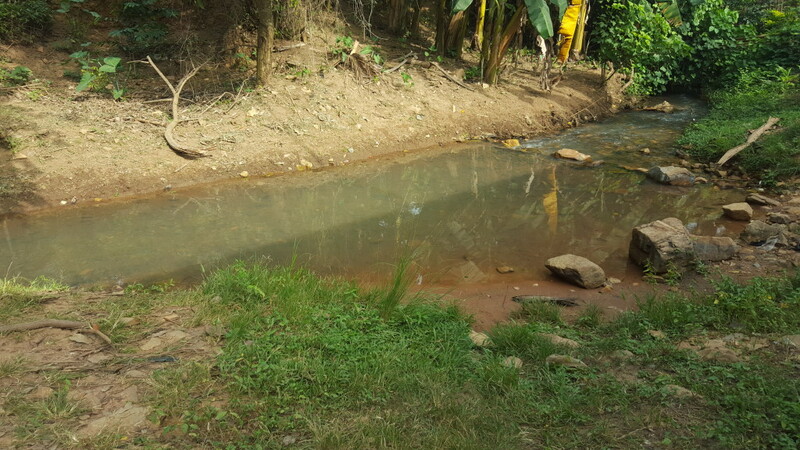 Another aim of my fieldwork was to identify agents of change in the community, whom are willing to be part of collective practices in Dodowa to improve access to (ground)water resources. In doing so, I started talking with people door to door in the format of in-depth interviews and narrative walks. This way, I got to know about the power dynamics in each suburb of Dodowa, about relations between and within clans, about community leaders, and the disadvantaged households within each suburbs. Given the time frame, I could only visit Wedokum, Oboom and Numerse suburbs in Dodowa. The fruitful data collection has provided a good base to explore the community dynamics and to map out actors and resources that are vital for upcoming transition experiments. I would like to thank the project research assistant Janix Asare for translation of interviews and patience over challenging days of fieldwork. Also, I would like to thank the local project partners, George Lutterodt for support in Accra and Sampson Oduro-Kwarteng for some interview arrangements. 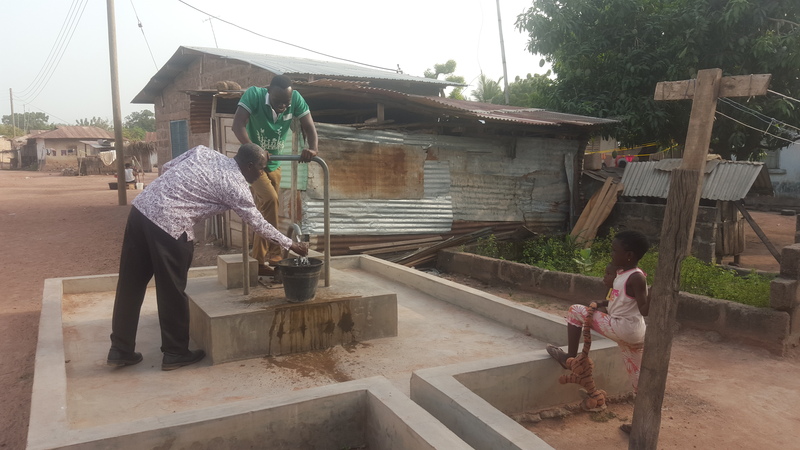 A borehole in Wedokum in Dodowa built by the Districts Assembly. Water tastes quite salty so that people barely fetch it here, unless there is absolutely no alternatives, which seem to be the case time to time. Sampson (left) and Janix (right) are tasting the water.